Patricia L. "Pat" Collins age 80 passed away January 24, 2019 at home surrounded by family. She was born November 25, 1938 to Stanley and Beatrice (Morton) Charron in Muskegon and has spent most of her life in Muskegon. Pat married William J. "Bill" Collins in December 1962. Pat was an avid reader and animal lover. She was a very kind hearted and thoughtful person and always took care of others. Pat enjoyed visiting with her grandchildren and great grandchildren and spending time with family and friends. In recent years, she enjoyed friendships she made at Nelson Place that meant a lot to her. Pat enjoyed crafts and loved to crochet and knit. Pat is survived by her husband, Bill Collins; daughters, Kimberly Crews and Rhonda Collins; son, Jeffrey (Terri) Muston; 14 grandchildren; 8 great grandchildren; siblings, Glenna Huss, Timothy "Joe" (Sharon) Charron and Marijo (Mike) Settlemire; sister in-law, Kathleen Charron; many nephews and nieces and friends. 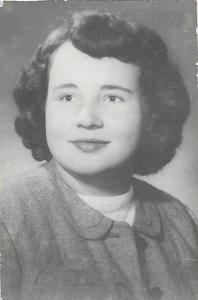 Pat was preceded in death by her parents; sons, William J. Collins, Jr. and William M. Collins; brother, Stanley M. "Butch" Charron Jr.; brother in-law, Pete Huss; and long-time best friend Donna (Church) Stone. A Celebration of Pat's Life will be held Saturday, February 16, 2019 from 12:00pm to 3:00pm at Park Meadows Mobile Home Community Hall, 210 E. Giles Rd, North Muskegon, MI 49445.